The luxurious and classic appearance of a natural slate roof makes an extraordinary statement on any home. 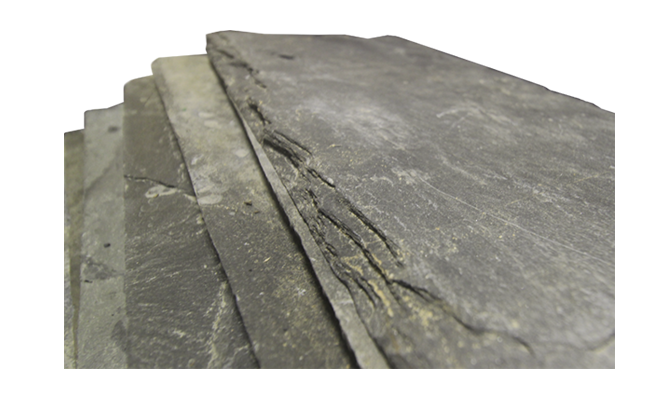 Slate roofing tiles come from natural stone, pulled from the earth. The unique “breakability” properties of the fine-grain stone allow it to be expertly cut and crafted into flat, thin tiles. Colors of natural slate vary from grey, green and black to even purple and red depending on the origin of the stone. 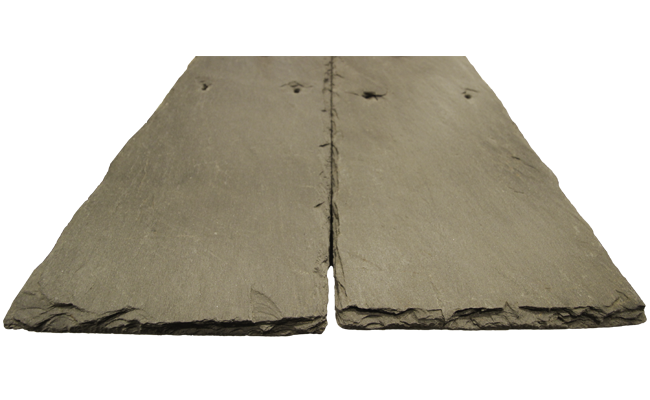 First appearing on American roofs in the 1700s, slate has a long history in the roofing industry. A properly installed slate roof can last a century or more. Known for it’s incredible beauty, slate roofs are also very durable, energy efficient, fire and weather resistant. Available in various widths, the consistent single-width slate tiles provide a clean, simple and elegant design. Tiles vary in thickness. Standard tile thicknesses include 3/8″ or 3/16″, however custom thicknesses are available from 1/2″ to 1″. Multi-width slate tiles vary in size from 10×6″ up to 24×16” and provide more of a rustic and classic old world appearance. Standard thicknesses are 3/8″ and 3/16″, however custom thicknesses are available from 1/2″ to 1″. To learn more about natural slate roofing and pricing we invite you to come visit our showroom located at 301 Fields Drive, Aberdeen, NC 28315. Contact us to schedule an appointment.